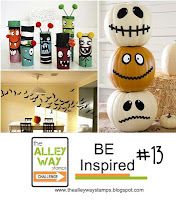 Yes it is time for another BE Inspired Challenge over at The Alley Way Stamps! You could get lots of different ideas with the latest inspiration pic. 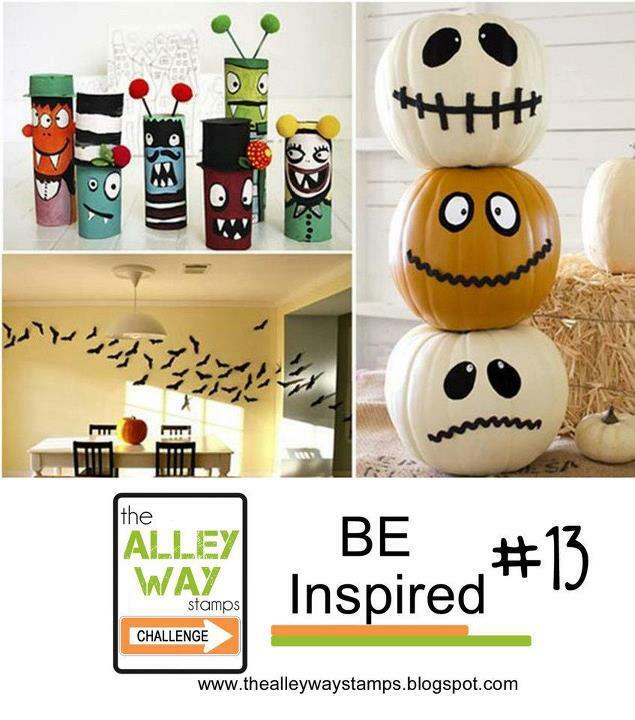 I was inspired by the monsters in the picture and also how the pumpkins were stacked. 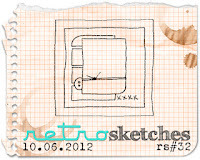 My layout is from this weeks Retrosketches, Challenge #32. 3) - The challenge linky closes on 25 October 2012 at Noon, TAWS time (Mtn)!